Author Anthony Horowitz is writing a second James Bond novel. There’s been intense speculation as to whether Daniel Craig will continue as James Bond after Spectre. But it seems the only person not joining in with all the discussion is the man himself who claims he’s not even thought about it. A brand new teaser for Spectre was broadcast on US TV last night, so of course it’s now online. The first teaser trailer for the new James Bond film, Spectre, has been released. It’s less that two minutes long and of course includes the obligatory Bond looking all moody and a swishy care shots. Fans also get to see Naomie Harris return as Moneypenny as well as a first glimpse of new Bond girl Monica Bellucci. You can’t see the character’s face bit it’s definitely Christoph Waltz as Oberhauser. 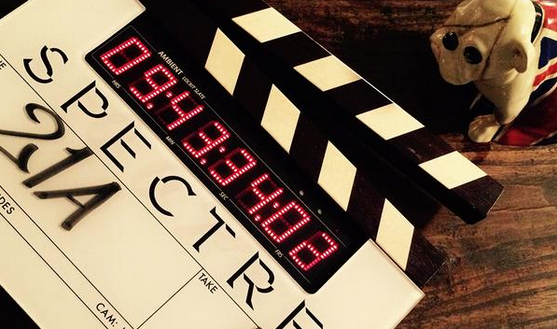 New Bond movie Spectre has begun filming with the above picture being released by producers. Anyone else recognise M’s bulldog from Skyfall?